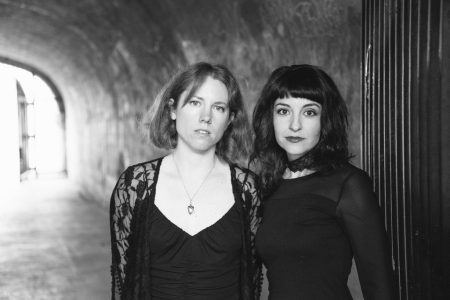 Pianist Anne Rainwater and mezzo-soprano Melinda Becker formed New Moon Duo in the summer of 2018, after years of regularly reading through music and playing on gigs together. As a voice and piano duo, they concentrate on music written in the twentieth century and beyond and aim to explore and dissect unique works that challenge the status quo and convey compelling and often untold narratives through a wide variety of styles and languages. New Moon Duo was excited to receive coaching from composer Gabriela Lena Frank at her home in Boonville, CA in early October of 2018, in advance of performing her work, Cuatro Canciones Andinas, alongside works by Claude Debussy and Samuel Barber, on the inaugural season of the Glenview Classical Series in Oakland, CA. The previous month in September, they performed at Anne Rainwater’s Vernon Salon Series in Oakland, and in December 2018, they were invited to perform on the International High School Noontime Concert Series in San Francisco. Having performed sets in English, French, and Spanish, they are now turning to existing pieces in other languages and the commissioning of new works. New Moon Duo will soon be finalizing up work on Luciano Berio’s Quattro Canzoni Popolari, and next will be commissioning Daria Novo to write a new cycle in Russian and New Mexican-born composer Nicolas Benavides to write a new cycle in Caló, a Spanish dialect spoken by people of Mexican and Spanish descent along the U.S.-Mexico border in Arizona and New Mexico. They will also be attending the Avaloch Farm Music Institute in New Hampshire in October 2019 with Nicolas to workshop his new song cycle in a nurturing and calm environment. Melinda and Anne also recently recorded some tracks at Dime Studios in Oakland, CA – please see below for some video highlights! Recorded by New Moon Duo in March 2019 at Dime Studios in Oakland, CA. at Dime Studios in Oakland, CA! New Moon Duo was also interviewed for the Crossover Cellist, Lewis Patzner’s podcast, on October 7, 2018. Please click HERE to listen to their interview!